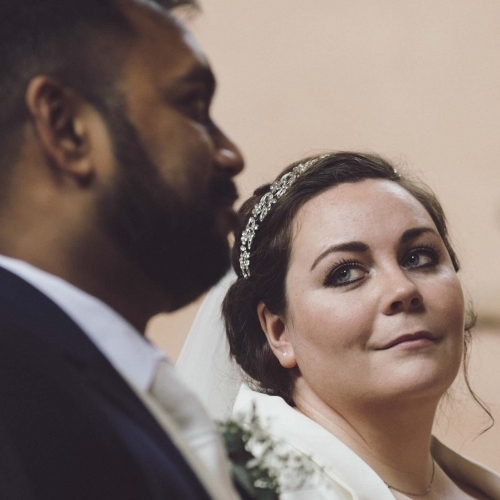 We shoot with the style of reportage, candid or documentary wedding photography, which to me pretty much the same thing, capturing an unscripted story of your wedding day. Yes i'm sure you will want some orchestrated group family photographs, but to me they can be to staged, bearing no resemblance to the emotion or feelings you experienced on your wedding day. We try and blend in with your guests capturing the photographs everyone loves to see. Pre-Wedding shoot, 10 + Hours, Personalised USB stick, Online gallery to download and share, 24 prints 8 x 10"
I used Pete to undertake some supportive photography for my website, he has a great eye for the detail, was very easy to deal with and able to frame some beautiful shots. Great photography, great guy. Good eye for detail, love the black & whites. Really personable chap too.